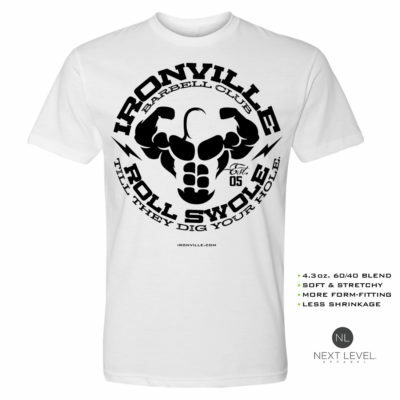 The Ironville stringer tank top is the ultimate gym garment style when you roll swole. Showcase the physique you work so hard to build and maintain. Roll Swole Till They Dig Your Hole.